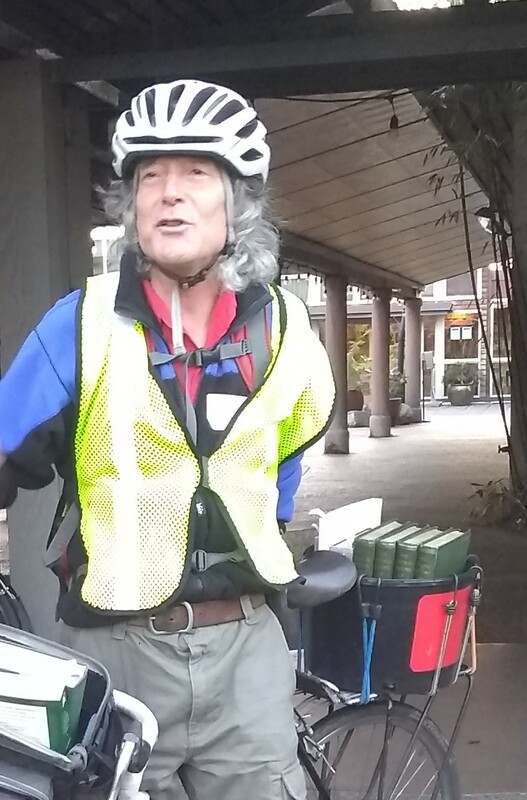 Local tree expert and author Arthur Lee Jacobson loads up his bike with special books from the Friday night book sale party. There are a few hundred books left over after a very successful Garden Lovers’ Book Sale and now most are free or $1.00! This give-away goes through 7pm on Wednesday, April 10 at the Miller Library in Merrill Hall, Center for Urban Horticulture. Come take a look!